The Economic and Financial Crimes Commission, EFCC, has denied reports that they froze the accounts of Rev. Fr. Ejike Mbaka. 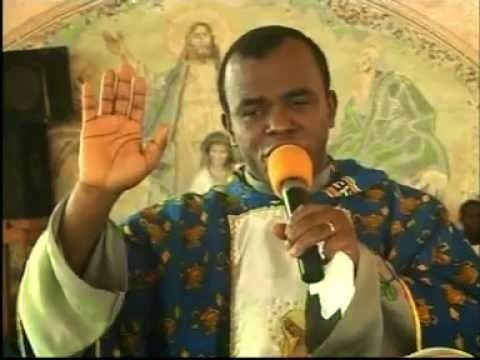 There were media reports yesterday that Fr Mbaka had claimed during his sermon on Wednesday March 25th that the EFCC had frozen his bank accounts and that he was invited to their Port Harcourt office for questioning. He supposedly said he went to the bank on Tuesday March 24th to cash some money to buy foodstuff for the poor who had just returned to Enugu from the North and the cheque he presented was rejected. "The attention of the Economic and Financial Crimes Commission,EFCC has been drawn to reports in a section of the media claiming that the Commission had frozen the accounts of Enugu-based Reverend Father Ejike Mbaka of the Adoration Mass fame. The commission wishes to state that there is no truth in the report and should be discountenanced.” the statement read.